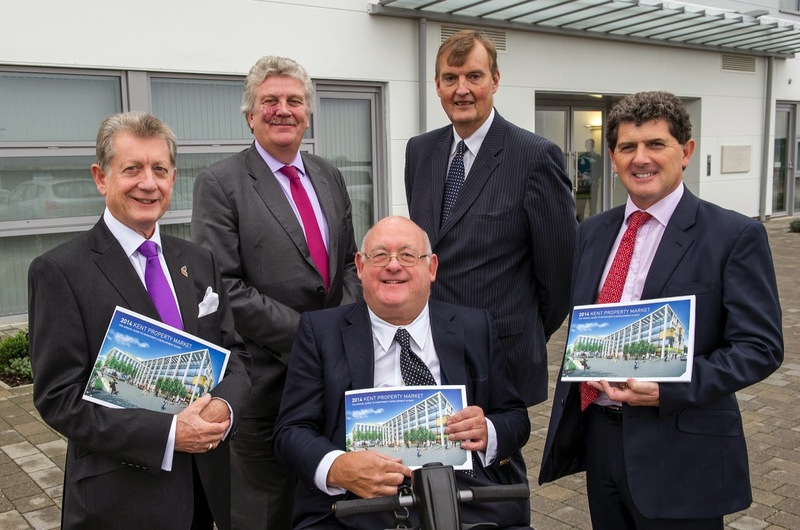 Kent is riding the wave of national economic recovery thanks to growth in high value sectors and the availability of financial support packages, according to the partners behind the 2014 Kent Property Market Report. The announcement of significant infrastructure projects such as the UK’s first modern garden city of 15,000 homes at Ebbsfleet, Government commitment to a third Thames Crossing and further development of High Speed rail services, have added to the sense the county is at the forefront of growth in Britain, the report finds. The launch of the report on Wednesday, 15 October, at Northfleet, included a keynote speech by Michael Cassidy CBE, chairman-designate of the Ebbsfleet Garden City Urban Development Corporation. Compiled jointly by Kent County Council, Locate in Kent and Caxtons Chartered Surveyors, the report found that for the first time since 2006, office yields are coming in, although rental growth is still just negative at -0.01%. Average high street rents dropped for the first time in two years, but yields kept pace with the UK average. Warehouse rents continued to fall at a faster rate than the South East and UK averages, but yields continued to harden, reflecting increasing investor appetite in UK property. Industrial space continues to be one of Kent’s strongest offerings, with continuing positive growth and outperforming the rest of the South East and UK. The success of Expansion East Kent funding helping new and existing companies to grow and create jobs, notably at Discovery Park, Sandwich. The report finds house prices across the county rose by 3.5% year-on-year to November 2013, slightly below the national average of 3.8%. Average prices across the county range from £406,442 in Sevenoaks to £181,332 in Thanet. Leisure and tourism also continue to play a vital role in the county’s economy, with three anniversaries – 100 years since the outbreak of the First World War, 75 years since the outbreak of the Second World War and 70 years since the D-Day landings – prompting significant investment. The Kent Property Market Report is also supported by Maidstone-based DHA Planning, Lloyds, RICS South East, and Kent law firm Cripps.